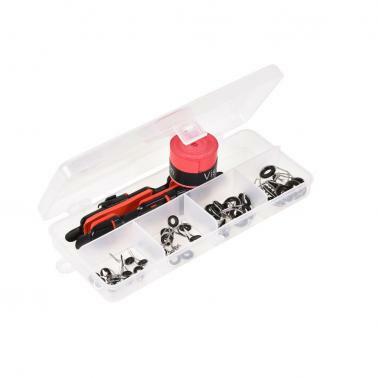 Great accessories box for those who want to repair or convert their fishing rod. 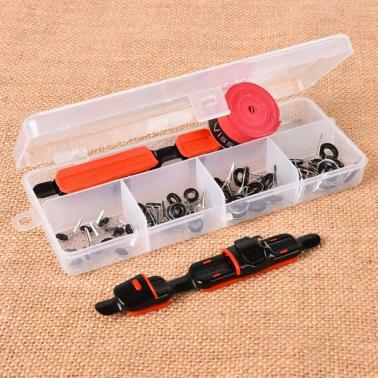 2 * fishing reel seat + 40 * rod guide (10 * #6, #8, #10, #12) + 1 * sweatband combination. Fishing Reel Seat: Adjustable length from 70-110cm / 27.6-43.3in. Soft rubber pad on the back can prevent scratch or slide. 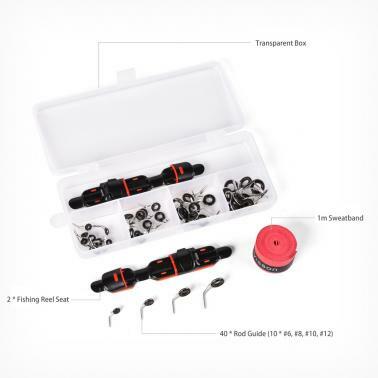 Fishing Rod Guides: 40pcs fishing rod guide sets, provided in 4 different sizes (#6, #8, #10, #12), stainless steel frame and ceramic insert provide excellent casting and retrieving. Fishing Rod Grip Sweatband: Soft SBR material, sweat-absorbent and non-slip, help you control your fishing rod better and effectively protect your hand.